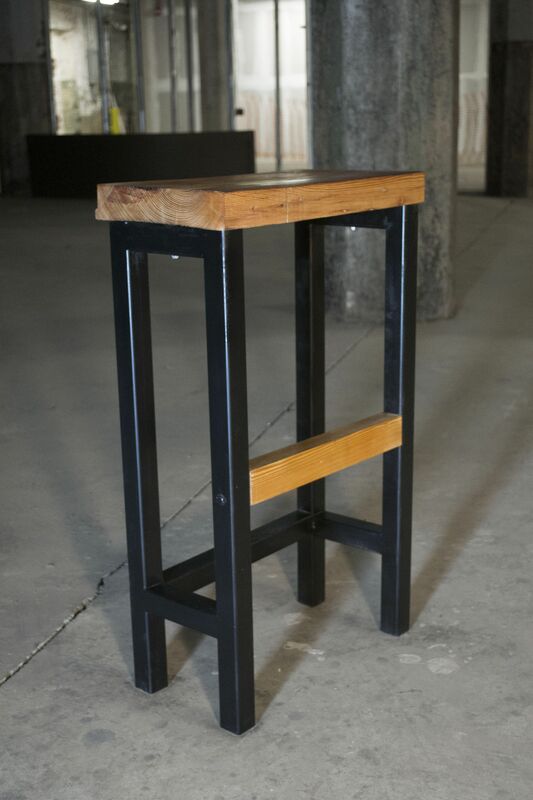 A Minimal and Industrial Stool with a slim profile made from Black Enamel coated Steel and Reclaimed Long Leaf Southern Pine salvaged in Baltimore MD. This piece is great for high tables, bars or nooks! All steel is TIG welded and sealed with a layer of protective cleat coat. Wood is scraped to an velvety smooth finish and is treated with natural Danish Oil! This stool is 30" high with a seat width of 17" and a depth of 10" making for a slim yet more than comfortable profile! 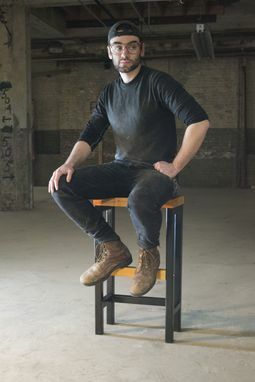 The Slim Stool weighs approximately 32 lbs, making it a very sturdy little bar stool ! These products are handmade to order so please allow 4-6 weeks for us to complete your order ! 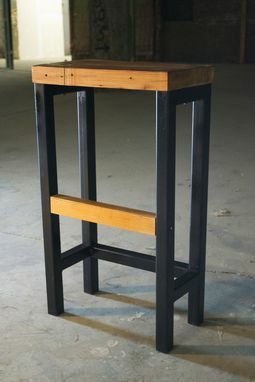 If you need the stools a specific height please contact me for a custom order and I'd be glad to accommodate you!